The Larkhill Rubber Company's Larkhill soling factory was built in 1961 off Larkhill Road on the north side of Yeovil, just on the outskirts. It was owned by Clarks, the largest shoe makers in Europe. The Larkhill factory produced rubber and PVC soling for Clarks' footwear. Larkhill also sold soling in the UK and exported to the Middle East, South Africa, Australia and the Far East. The company employed around 140 people, all of whom lived within 15 miles of Yeovil. The 'rubber' was mixed in a machine called a 'Banbury' and a batch of materials weighing 230kg was mixed every 5 minutes. This mixed compound was then 'sheeted off' and subjected to a further moulding process, using pressure and heat to squeeze the compound into shape and vulcanize it, producing a material with rubber-like qualities suitable for the soles of shoes. 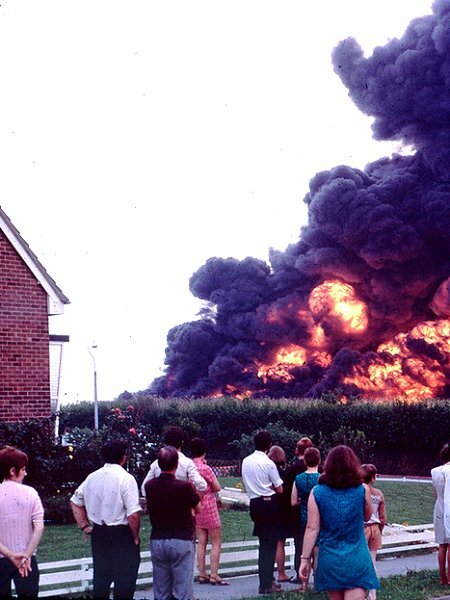 In August 1970 children playing in a 'den' made out of wooden pallets in the grounds of the factory, set fire to the wooden pallets and drums of chemicals. 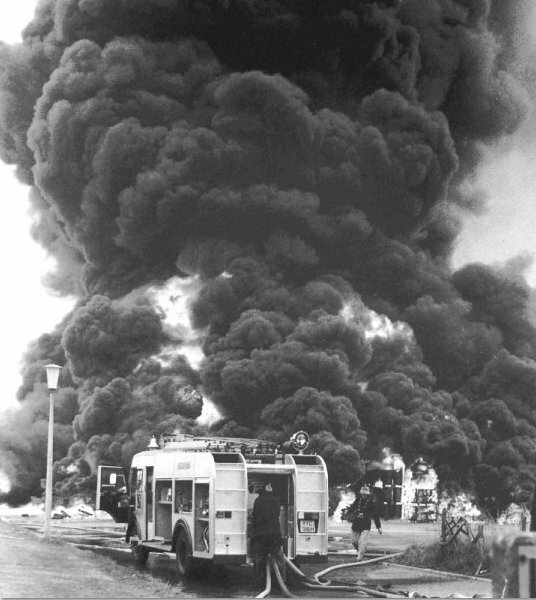 The fire quickly spread and got out of control. Such fires involving rubber or plastics are frequently fast-burning events and are notably difficult to extinguish. 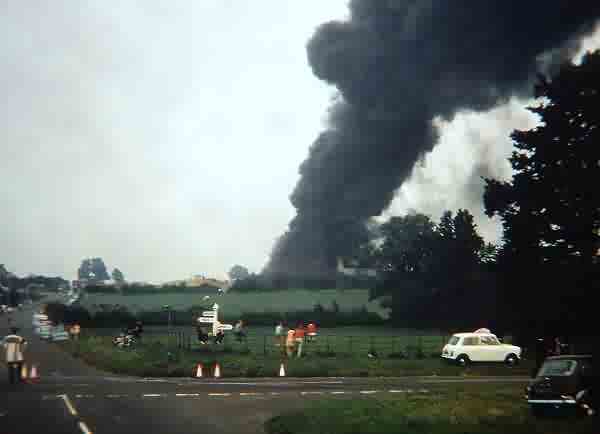 One of the chief concerns with the Larkhill fire was that it produced much smoke, as seen in the photograph below, and the fear was that the smoke would carry toxic chemicals from the breakdown of rubber compounds while burning. There were no injuries. 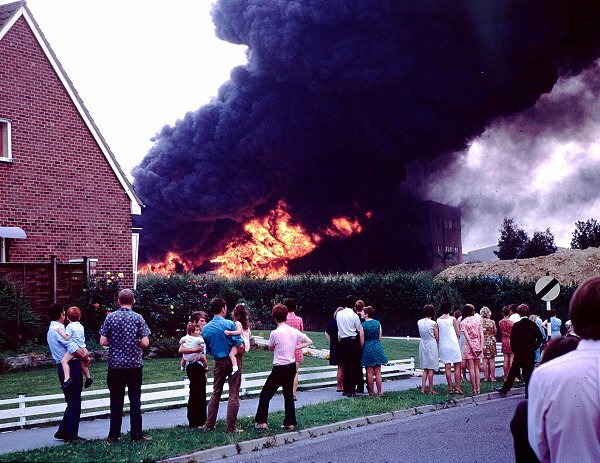 The 1970 fire at the Larkhill soling factory, caused by children playing with matches. Larkhill Road is closed off by police at Thorne Lane as people stop to watch the spectacle. 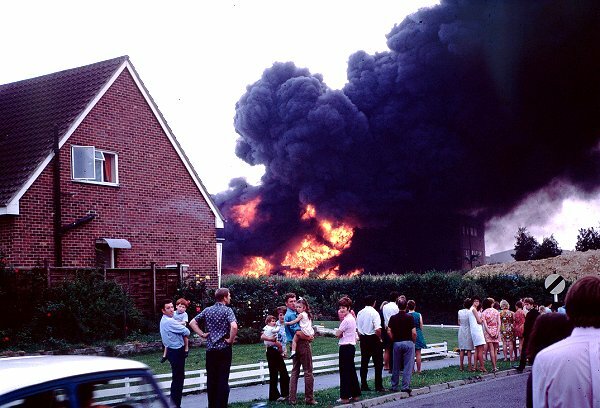 Local residents of Larkhill Road gather to watch the conflagration.